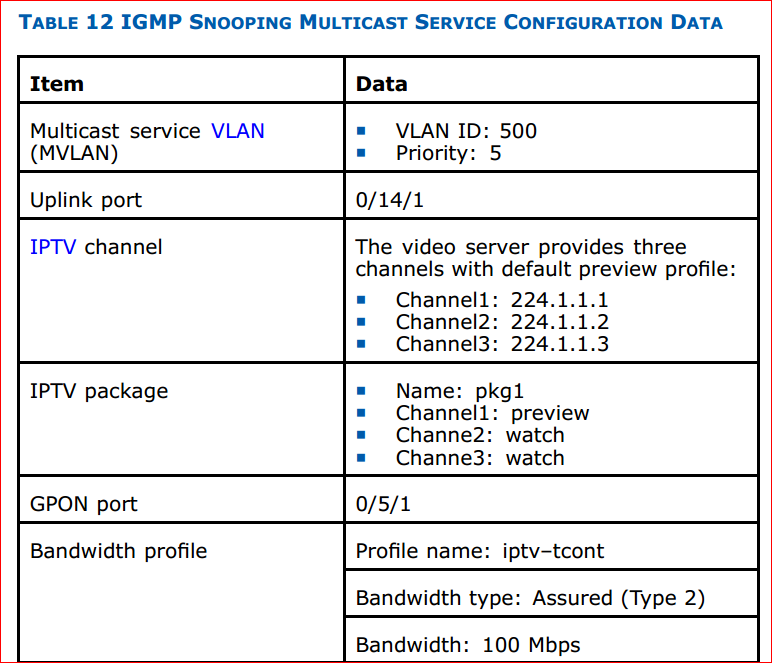 Today i will discuss how to configure ZTE F820 IGMP Snooping Multicast Service in ZTE OLT. Make sure that the in-band NM IP address of the ZXA10 C220 is configured. The F820 supports 12 MVLANs and 255 multicast groups. Networking Diagram: ZTE F820 IGMP snooping multicast service networking diagram. 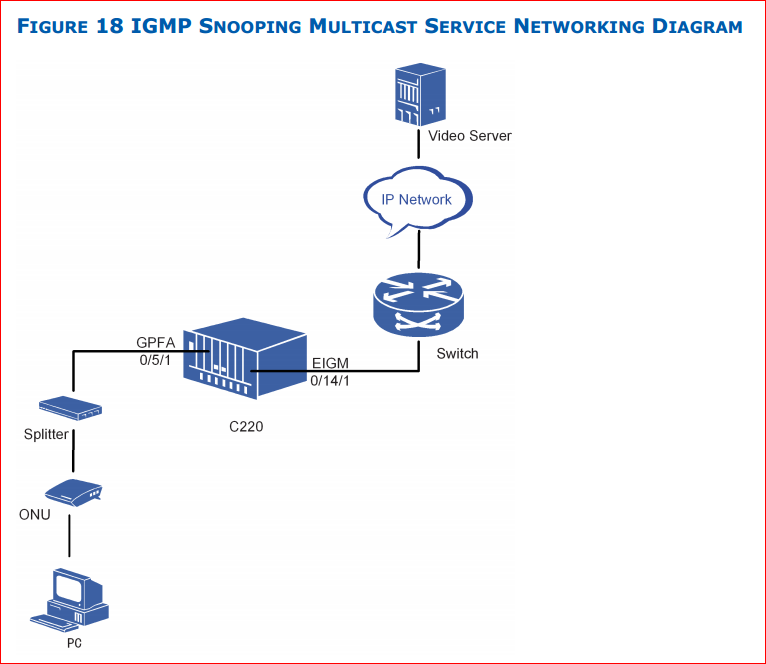 ZTE F820 IGMP snooping multicast service networking diagram. 1. Log in to the F820 through HyperTeminal (username: zte, password: zxr10). 2. Configure GPON SN on the F820. ii. 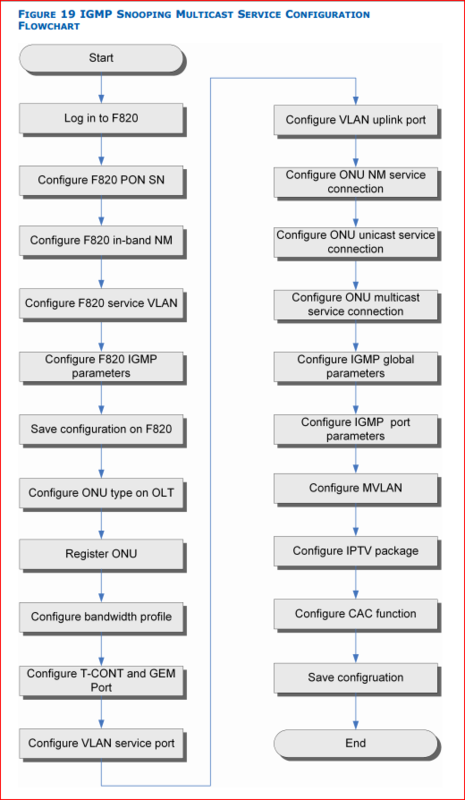 Enter global configuration mode and configure GPON SN. iii. Reset GPON card (GPUA card) in slot 2 and wait for 1 minute. 3. Configure F820 in-band NM. i. Enter VLAN interface configuration mode, configure in-band NM IP address. Note: VLAN 1 – VLAN 4093 are created by default. The in-band NM IP address should be in the same network segment with the ZXA10 C220. ii. Configure in-band NM route. Note: By default, VLAN 1 – VLAN 4093 exist in F820 and the uplink GPON port is each VLAN. 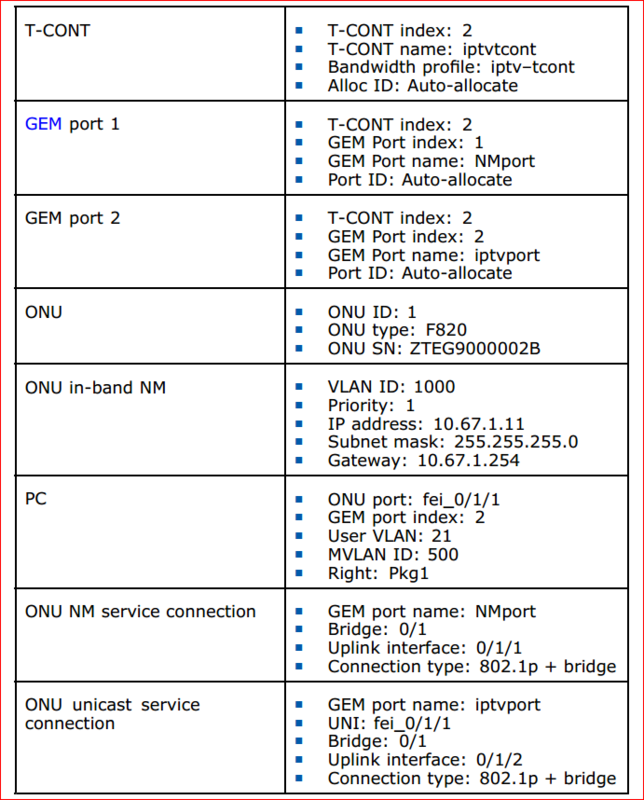 i. Configure ONU IGMP mode. ii. Configure port IGMP parameters. 7. Configure F820 ONU type on the ZXA10 C220. ii. Enter PON configuration mode and configure ONU type. iii. Configure ONU port type. 10. Configure T-CONT and GEM ports. 11. Configure VLAN service port. Note: By default, one V-port corresponds to one GEM port. iii. Add port to NM VLAN, MVLAN and user VLAN in tag mode. 12. Configure VLAN uplink port. 13. Configure ONU NM service connection. iii. Configure VLAN filter mode on uplink interface. iv. Configure VLAN filter entry on uplink interface. 14. Configure ONU unicast service connection. i. Configure the map between GEM port and uplink interface. ii. Configure VLAN filter mode on uplink interface. iii. Configure VLAN filter entry on uplink interface. 15. Configure ONU multicast service connection. 16. Configure IGMP global parameters. Note:When user VLAN is different from MVLAN, the span-VLAN function must be enabled. 17. Configure IGMP port parameters. Enable fast-leave function. Note: – When CAC is enabled, the user can watch channels only when he has purchased the IPTV package. Result: The PC can preview channel1, watch channel2 and channel3.